Craft protects one from facing endless expanding realities — the terror, let us say, of losing your novel in the depth of philosophical insights you are not ready to live with. I think this sort of terror so depresses us that we throw up evasions, such as craft. Indeed, I think this adoration of craft makes a church of literature for that vast number of writers who are somewhere on the bell-shaped curve between mediocrity and talent. What did Norman mean to say, and should we writers care? I suppose that a person’s answer to this question depends, at least in part, on whether or not the person can separate Norman Mailer the dead articulate egotist from the words he wrote. 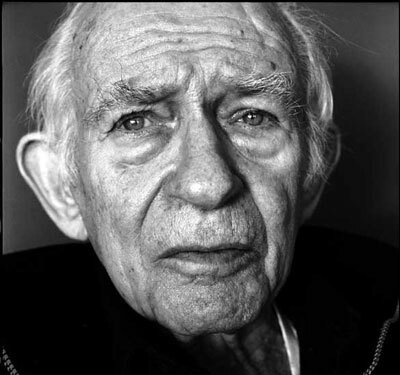 As well, I think that if you never listened to the alive version of Norman Mailer speak (and yes, dead writers speak, too), then your opinion will likely be more objective than that of anyone who witnessed the man’s bombastic form of untamed courage. As I write these words I hear raindrops tapping memories on the roof. I’m humming the tune to The Second Time Around. Earlier this morning I practiced my performance inside my garage (great acoustics inside that chamber). When I hum, I am not humble. My version of this particular song puts fellow Sicilian Sinatra’s rendition to shame. My phrasing is better, my approach each time I sing this story is unpredictable, which makes me want to practice that tune tomorrow. If ever you visit my home, I’ll set up chairs inside the garage, shine the spotlight on myself, croon for you, then ask you to dance. You’ll want to say yes, even if you’re the shy type. You don’t need to know my exact address; just listen well the next time rain falls on my rooftop. But back to memories, the subject of Norman Mailer, the separation of person and story, and the trap that craft can become. Back in those days, I admit that Helen and Hector were not within view of my scope. I was an anti-war protester, experienced in the art of avoiding teargas bombs in Washington, DC, and a part-time singer in South Philly bars. I was also passionate about a long-haired blond girl whose father was a lieutenant colonel with an office in The Pentagon. Yep, I knew how to stir my stew till she bubbled, and then jump in to swim with the meat and potatoes. So Yeats’s poem, for me, was all about Maud Gonne. W. B. loved Maud almost as much as I loved my Mod Squad Gal; and he wrote poems that compared favorably with my own. 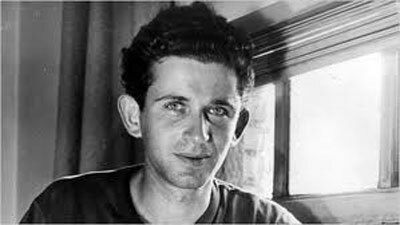 Come to think about it, I guess I was just as much a bombastic egotist as Norman Mailer. True enough that Norman had won a couple of Nobel Prizes by the time I first visited Arlington National Cemetery with Lieutenant Colonel Pop and bemoaned the fallen soldiers there, but my time would come, reverent hands at the ready to grab the check, my storm-beaten breast heaving with my rapid heartbeat. And Norman Mailer? I still have a difficult time setting aside the crime — however unintentional — that he committed by endorsing and abetting Jack Henry Abbott’s paroled release from prison. Norman abused the power of his celebrity and talent, and that fantastic and ego-bound error of judgment caused the loss of another man’s life. Regarding Norman’s dreamy view of the role craft plays for a writer, is Mailer fooling anyone with what he said? Perhaps his words trick a few romantic scribblers still green enough to believe in the Jack Kerouac Method of Composition. Straight from the bloody pump. No second thoughts, no self-doubt, no erasures. Most of us old hacks, however, understand that Norman Mailer was a keen, intelligent Harvard man who honed his craft. He admitted that his earliest efforts were as poor in their commission as those of any beginning writer. And I hear tell that the man could not sing without losing pitch. And no matter that he included the word dance in the title of one of his most miserable books, he couldn’t help but trip his unfortunate partners. Either that or he was indeed a tough guy. Still, I think Norman made a good point about craft in one important way: a writer can use the issue of craft to excuse his inability, or refusal, to write. I am oftentimes guilty of this sin. I don’t write sloppy first drafts. I feel unable to write a second sentence until I first sculpt and polish the first one. You just gotta get over that, Anthony. I’ve told myself that so many times, and in so many different ways, that my advice has become a poor poem. I’m an old man now, and old men should understand that wasting time with failed excuses makes for deathbeds encumbered by regret. So okay, here you have the genuine article: a sloppy first draft of an article with little more focus than that of raindrops, memories of a soldier and a pretty girl, opinions regarding Norman Mailer and W.B. Yeats’s poetry, tales from my garage, and my lack of humility. First you live, and then you . . . I enjoyed this immensely, helped perhaps by my admiration for the late, and ofter great, hellrasing Norman – despite all his obvious flaws (but how many fine writers – particularly Americans – have been flawless?) . . . Hemingway and Fitzgerald for instance, led chaotic private lives. Perhaps the greatest of them all, William Faulkner may have been close to pristine. I really couldn’t say. Perhaps you can enlighten me! First, thanks for the visit and the read. Second, I think none of us is free from flaws; our flaws are many times fertile fodder for the stories we write. And Faulkner? The man was a gifted writer and an alcoholic. Alcoholism is a painful disease. That fact, however, doesn’t prevent me from appreciating what Faulkner, or Carver, or Cheever, or . . . the list is long . . . wrote.